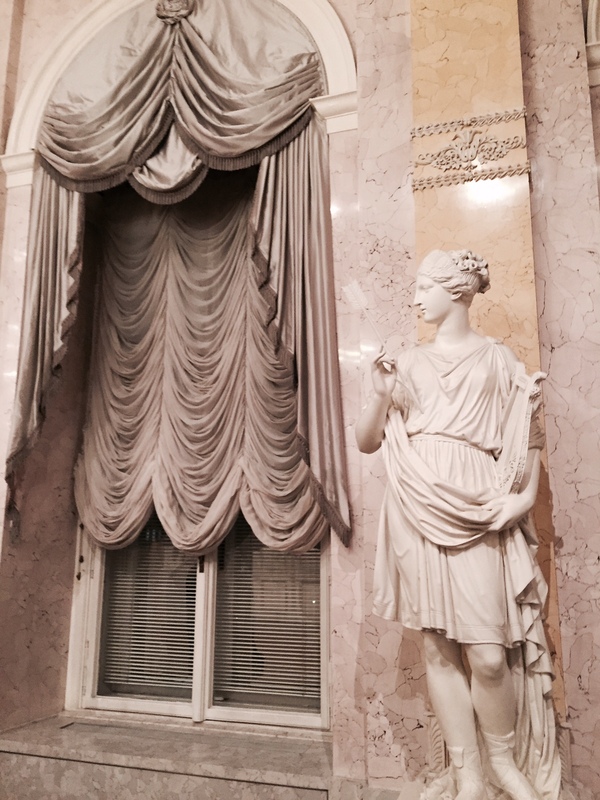 Maria Christina: She Even Got the Canova! The Augustinian Church, adjoining the Hofburg Palace in Vienna, contains one of the saddest and most grandiose memorials I’ve ever seen. 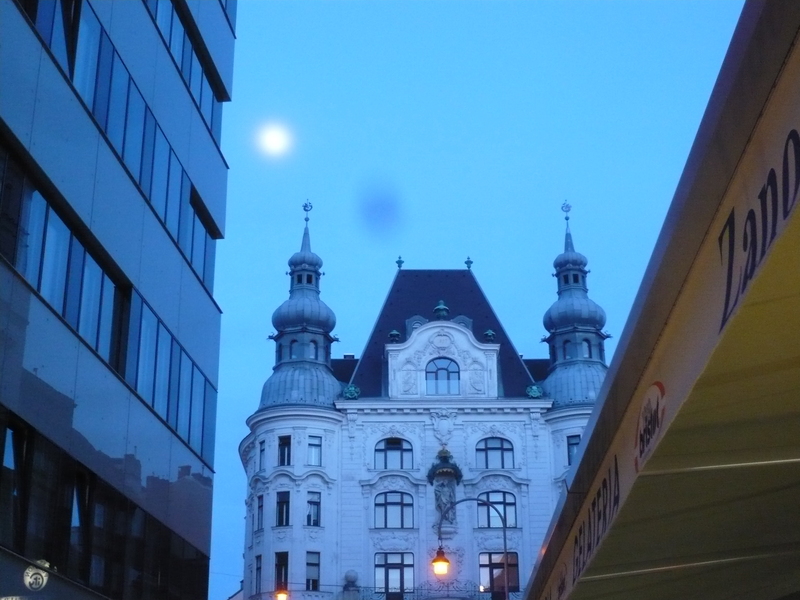 It occupies a huge section of wall space in the family church of the Habsburgs. It was exquisitely sculpted by the great Italian artist Antonio Canova in 1805 and remains one of his most famous works. A procession of downcast mourners slowly climbs the stairs toward an open doorway with nothing but darkness inside. Gazing into the void of that black space is truly terrifying. A tearful lion lies beside the doorway, disconsolately resting his mighty chin on his paws. 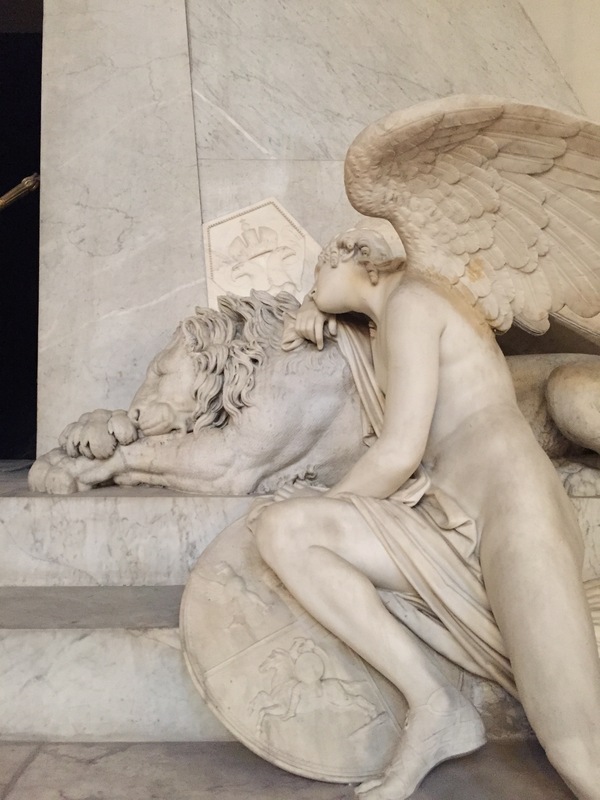 A handsome male angel leans on the lion’s back, clearly overcome with grief. The whole structure is in gleaming white marble. Canova’s funeral monuments were mostly for Popes and Venetian nobles, plus a small one for the British war hero Horatio Nelson. 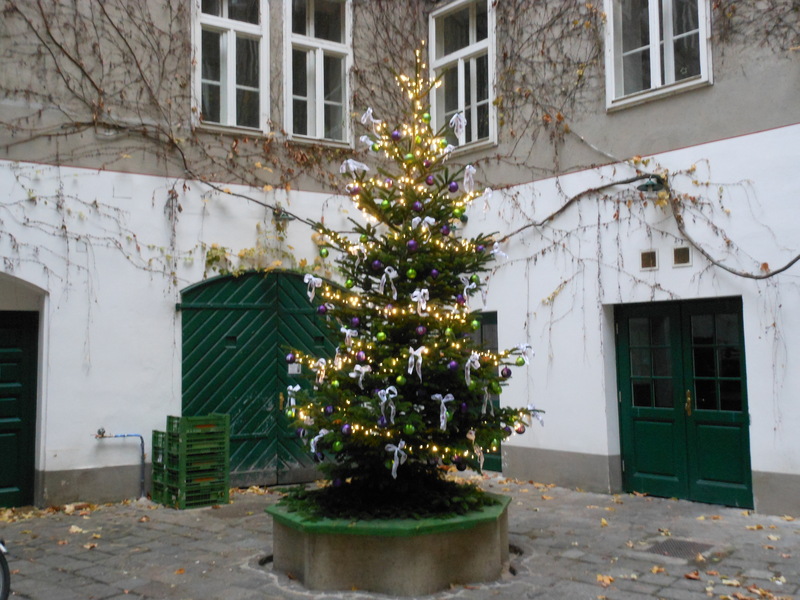 Most people agree that the monument in the Augustinian Church in Vienna is the grandest and most beautiful of them all. 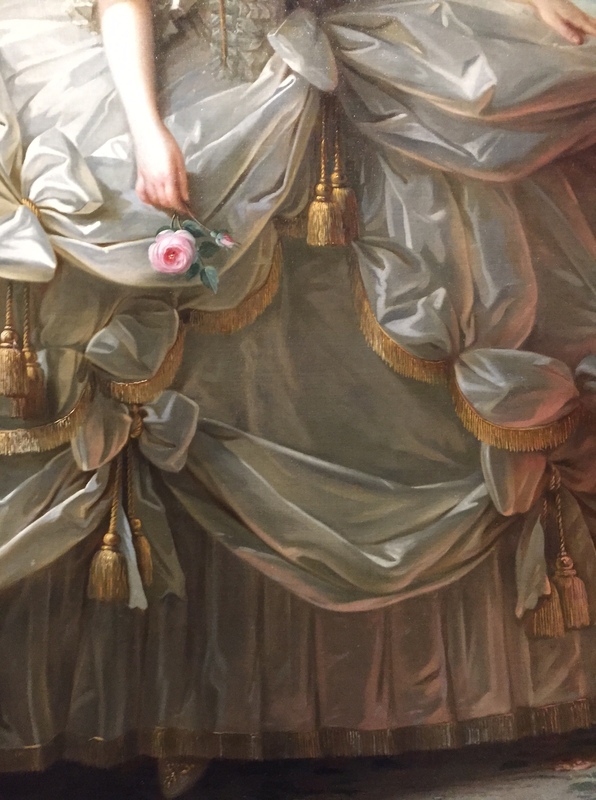 This masterpiece honors a woman who never did much of anything: Archduchess Maria Christina, favorite daughter of Empress Maria Theresa. After her death at age 56, her husband (flush with wealth lavished on the couple by the Empress) commissioned the monument. Who is buried in Maria Christina’s tomb? No one. She is actually buried in the Imperial Crypt along with the rest of the Habsburgs. But apparently her husband, with the blessing of her mother, wanted everyone who attended church at the Augustinian to be reminded of her loss. I can’t help thinking of Marie Antoinette, the unfortunate younger sister of Maria Christina. After her beheading, she was unceremoniously thrown into a common pit along with other victims of the Terror in Paris. Reportedly, when Maria Christina heard of her sister’s gruesome death, she remarked, “She never should have married.” Of course Marie Antoinette had nothing to say about whether or whom or when she married, unlike the more fortunate Maria Christina. 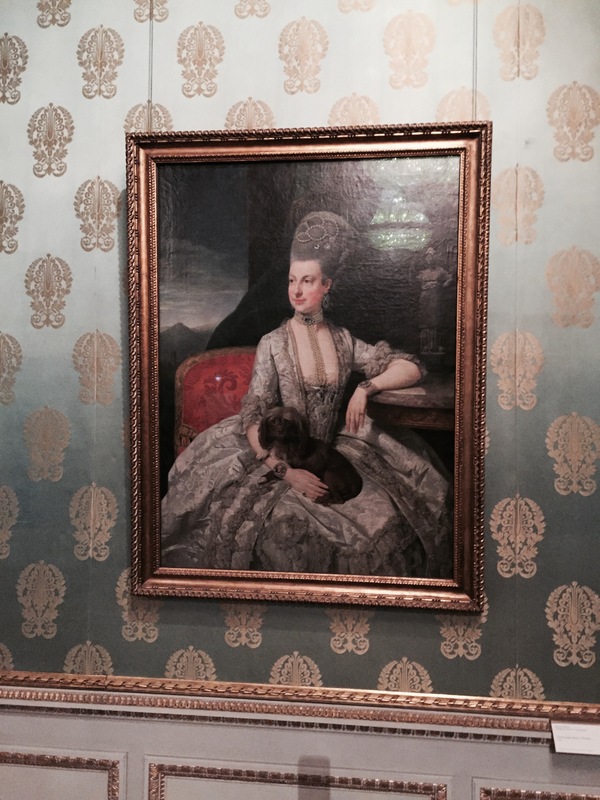 Why did Maria Theresa favor one daughter so highly, out of all her 16 children? Was Maria Christina possibly the most intelligent? 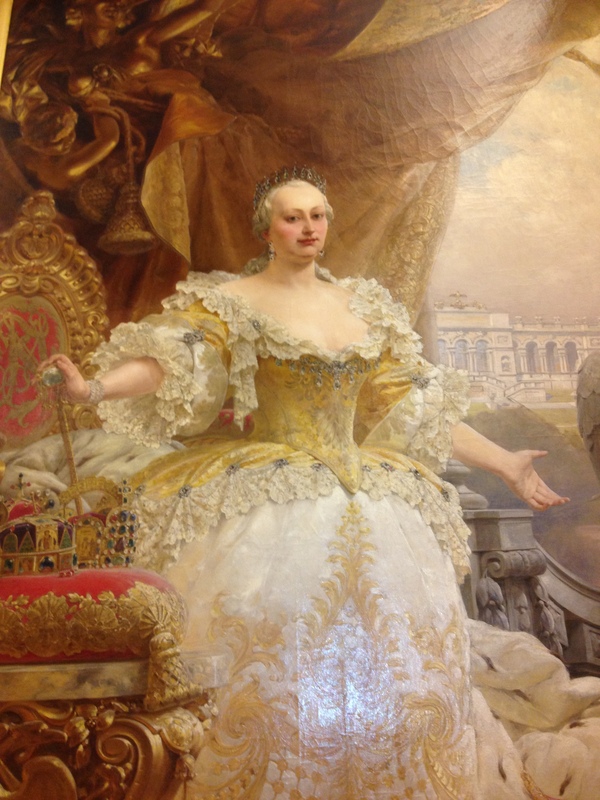 If Maria Christina had been the daughter sent off the France, might she have been intelligent and strong-willed enough to persuade Louis XVI, a bit of a dim bulb, to accept some reforms before mobs marched on Versailles? Failing that, might she have persuaded Louis XVI to decamp to a safe haven until things cooled down at home? As it was, he ignored many chances to escape. When he finally decided to make a run for it, the carriage he chose was a huge lumbering vehicle that stuck out like a sore thumb on the rural roadways of France. The royal family was captured and hauled back to prison in Paris. 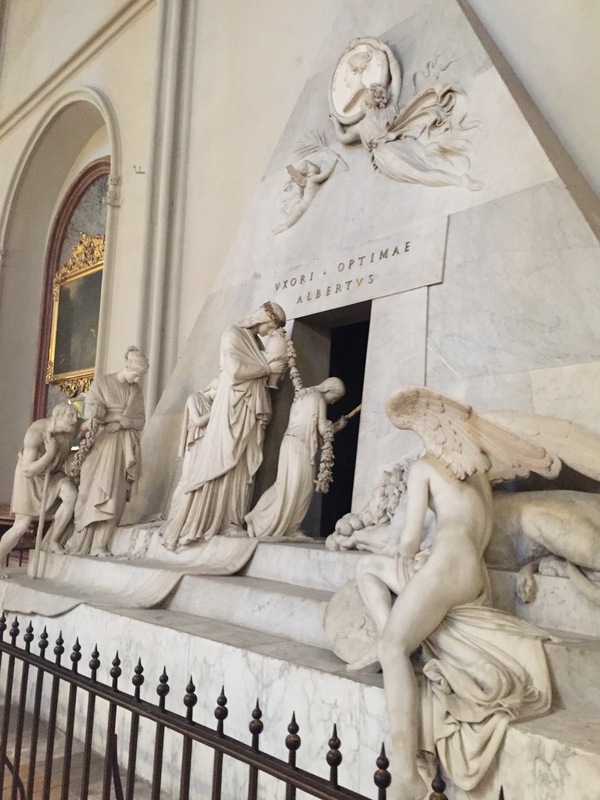 This entry was posted in Art, Artists, Austria, Cathedrals and Churches, Historical Figures, Vienna and tagged Antonio Canova, Archduchess Maria Christina, Augustinian Church Vienna, Canova funeral monuments, Empress Maria Theresa, King Louis XVI, Marie Antoinette on March 13, 2015 by Claudia Suzan Carley. 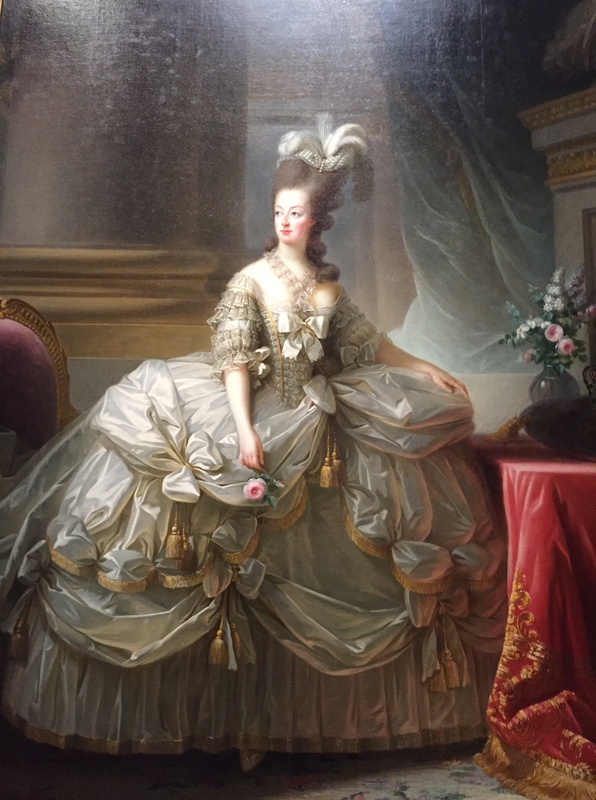 The Kunsthistorisches Museum in Vienna has one of the most famous images of Marie Antoinette, painted by Elisabeth Vigee Lebrun in 1779. It was one of her most important paintings, and the artist herself made six copies of it. The young Queen had only reigned for five years; she still had about thirteen years of high living in store, before the Revolution and the Terror that cost her life. It’s such a familiar image that I haven’t looked at it very carefully. 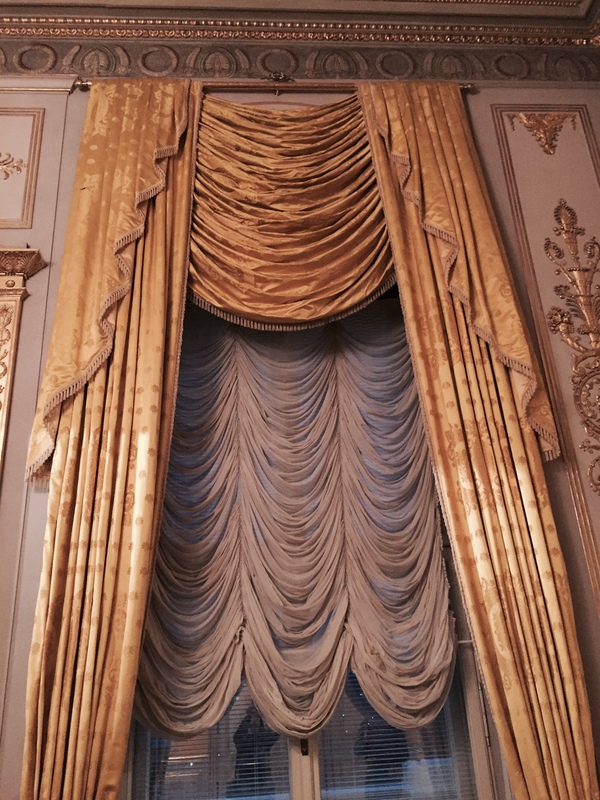 What struck me on a recent visit was that it’s mostly about fine silks. All we really see of the queen is her face. The rest is window dressing. I got to thinking that her dress actually looks like a window treatment fit for a palace. In a way, her entire life was a kind of window dressing. She was married off as a teenager for the valuable political alliance between Austria and France. She was expected to produce royal heirs, and in her spare time, to show off the wealth and power of the French monarchy. No doubt it took at least a dozen ladies-in-waiting to get her into this dress. No doubt she would much rather have been playing house in her farm on the grounds of Versailles, where she could dress as a milkmaid and tend her shampooed sheep. But in sitting for this portrait, she was doing her duty. Sadly, her duty did not work out well for her. 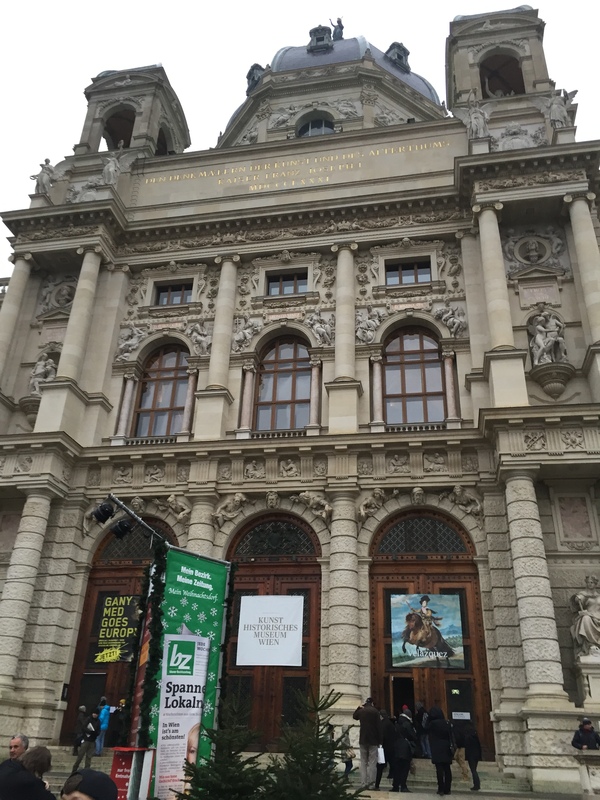 I went directly from the Kunsthistorisches to the Albertina Palace, where Marie Antoinette’s sister Marie Christine got to live out her life. Marie Christine was the favorite child of the redoubtable Maria Theresa. Of all the children, Marie Christine was the only one allowed to marry for love instead of political alliance. Life is not fair. 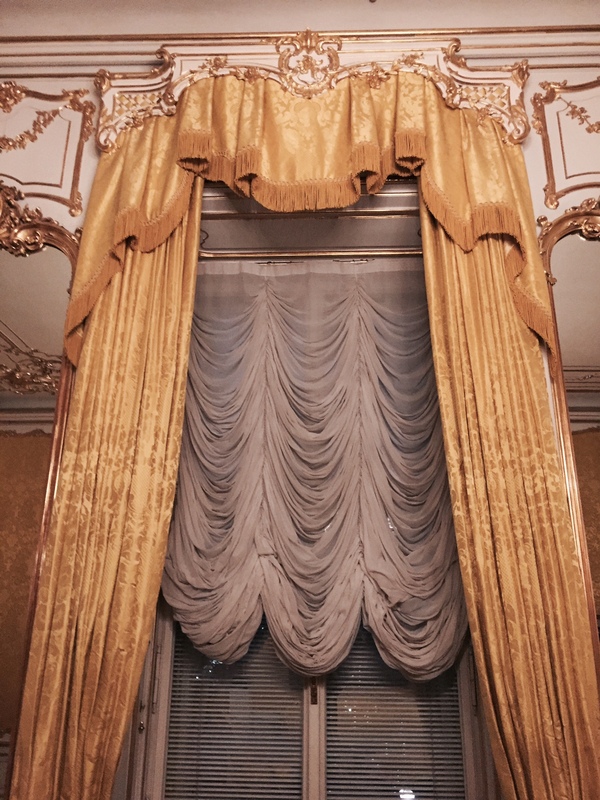 Anyway, the window treatments in the Albertina look exactly like Marie Antoinette’s portrait gown, if you ask me. How much of a person’s life, in history and in the present, is spent trying to strike an idealized pose? How much of a life is window dressing? It’s a question to ponder. 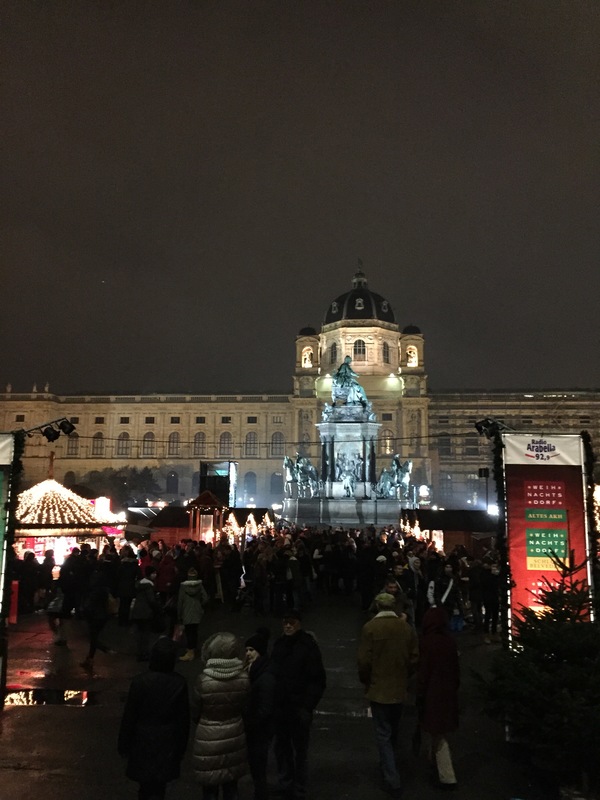 This entry was posted in Art, Austria, Historical Figures, History, Vienna, Vienna Kunsthistorisches Museum, Vienna Museums and tagged Albertina Museum, Albertina Palace, Elisabeth Vigee Lebrun, Empress Maria Theresa, Kunsthistorisches Museum, Marie Antoinette, Marie Christine on December 2, 2014 by Claudia Suzan Carley.